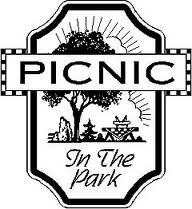 Save Sunday August 12, for our end-of-summer picnic. Say "Bonne Chance" to our students leaving for Cambridge. Dogwood Park in Mariemont at 4:30-6:30 pm. “The sun danced through the small leaves of the oak, turning them saffron and dappling the blankets with the ghosts of baby leaves." Doesn't this remind you of being stretched out on a picnic blanket in Harvard Yard? Come enjoy a casual and fun afternoon under the trees at Dogwood Park. All Harvard University graduates, affiliates and students along with your families and friends are cordially invited. There will be food, games and socializing for everyone. We will be in the charming Village of Mariemont just 15 minutes from Downtown. Designated a National Historic Landmark community, its tree-lined streets and Tudor-style buildings will remind you of quaint English garden neighborhoods. Look for us in the shelter under the Bell Tower after you turn onto Pleasant Street. Parking is available at the park, at the softball field, on the left side of Pleasant across from the park and on Field House Way.